Hagensborg, Cariboo Chilcotin Coast, BC, Canada is a small village, with a long Nuxalk First Nation and Norwegian past, resting near the banks of the Bella Coola River. One can still see, to this day, the obvious First Nation and Norwegian influences. Hagensborg, BC in located on Highway 20 west of the Tweedsmuir Provincial Park and east of the community of Bella Coola. Activities most enjoyed in Hagensborg, BC and the surrounding areas includes hiking, camping, fishing, mountain biking, horseback riding, and backpacking. A few of the more popular activity and sightseeing destinations located in and around Hagensborg, Cariboo Chilcotin Coast, British Columbia includes the "Norwegian Heritage House", Tweedsmuir Provincial Park, Saloompt Forest Trail, Snooka Creek Trails, Big Cedars Trail and the Medby Rock Lookout Trail. 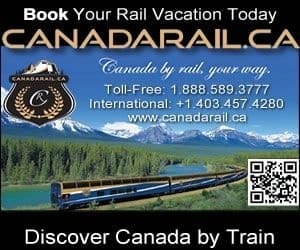 Travel services important to travelers in and around the community of Hagensborg, Cariboo Chilcotin Coast includes accommodations (motel, cottages, bed and breakfast), campground, convenience store, gas station, restaurant, and pub. There is a BC Ferry Terminal in Bella Coola, BC connecting travelers to Prince Rupert on the BC Mainland and Port Hardy, BC on Vancouver Island. eh! Plan to Visit Hagensborg, BC today.